MONARCH - "Of Night With Knives"
Bordeaux-based ambient doom quintet MONARCH have teamed up with Cvlt Nation to premiere a new track off their awaited new album "Never Forever", due out September 22nd on Profound Lore Records. This 15-minute epic is the introduction track to MONARCH's new album "Never Forever". 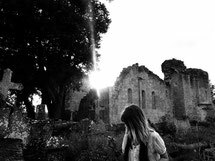 Starting hauntingly as ever with Emilie Bresson's incantatory vocals, "Of Night, With Knives" lays a creepy, mystical vibe... to slowly introduce the thick, echoing brooding riffs that have made the band famous. 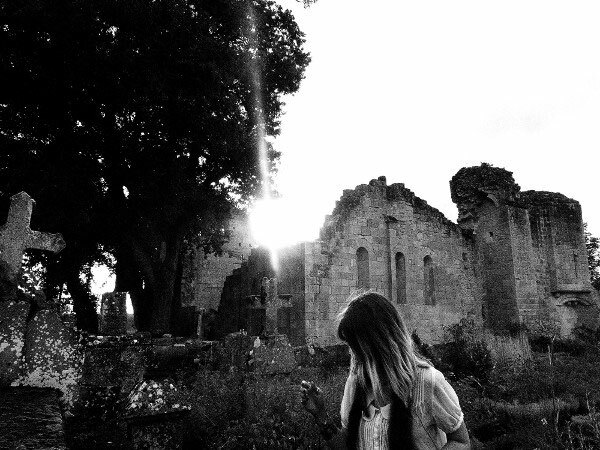 Feeling like a black mass in the nave of an abandoned church, this new song showcases a new facet of the French doom quintet, with a fine-tuned and more ambient songwriting that emphasizes their spine-shivering atmospheres. With their new album “Never Forever”, France’s cult extreme doom metal band MONARCH continue their singular style of punishing ritualistic drone doom and take it towards more melancholic territories. Even more ghostly, atmospheric, and haunting than its predecessor, 2014’s “Sabbracadaver”, “Never Forever” sees the five-piece take even more form and shape with their songwriting while still harnessing that plodding, down-tuned, and crushing low-end that has become their signature rhythmic backdrop to vocalist Emilie Bresson’s enchanting and spellbinding vocals. With the more melancholic tone and vibe of “Never Forever”, Bresson adapts her vocals in a more ethereal and delicate manner likewise, while still juxtaposing them with her otherworldly harsh shrieks.